The creation of a new Nevada State Park, known as the Walker River State Recreation Area is official! The Nevada Division of State Lands accepted the gift deeds facilitated by the Walker Basin Conservancy, and will assign the donated property to the Nevada Division of State Parks for the development and management of the new park along the East Walker River in Lyon and Mineral Counties. 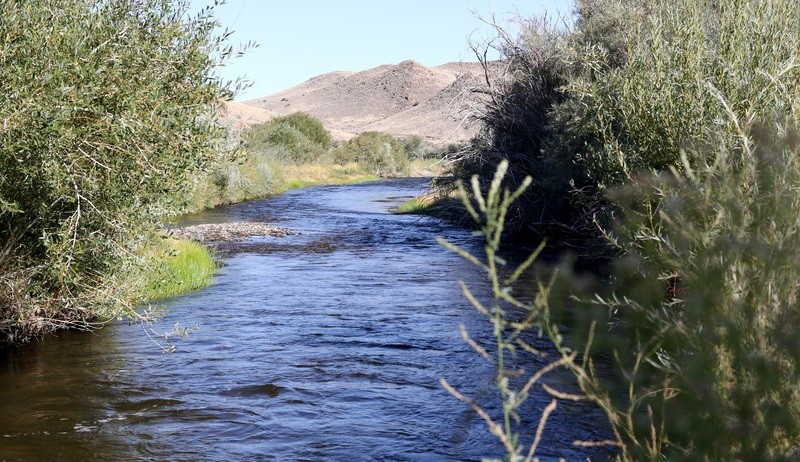 This historic opportunity was made possible by a generous donation from the Walker Basin Restoration Program, which acquired these historic ranches along the Walker River with support through the Desert Terminal Lakes Act. The Walker Basin Conservancy’s mission is to help restore and maintain Walker Lake, while protecting the important agricultural and watershed interests along the Walker River. The new park stretches along 29 miles of the scenic East Walker River, and includes the Pitchfork, Rafter 7, Flying M and Nine Mile Ranch properties. 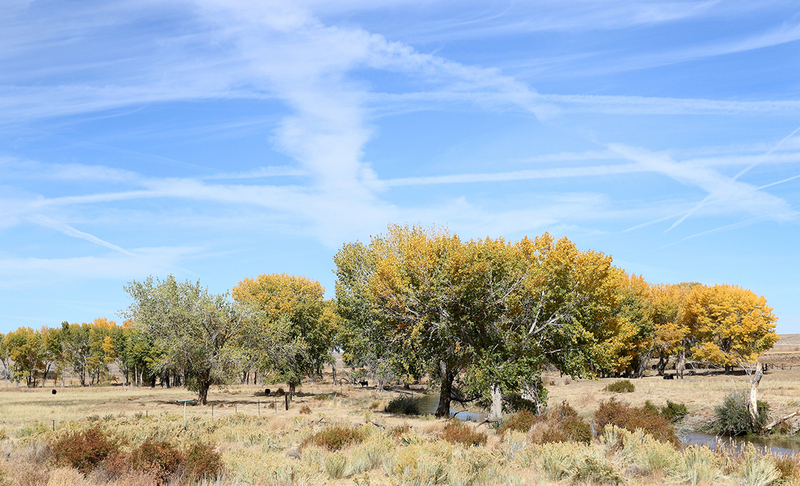 “Establishing a new state park for Nevada ensures these historic ranches continue to be managed and protected for the health of the Walker River and Walker Basin. I’m looking forward to the transition and working alongside the Division of State Parks well into the future” said Jeff Bryant, Executive Director of the Walker Basin Conservancy. While the land transfer is an important first step in development of this park, the Walker River State Recreation Area will not officially open until the Nevada Division of State Parks has staffed the area, completed a safety assessment, and finalized preliminary development. Limited access is due to begin in the fall of 2017. Please check back, as this site will be updated frequently as information changes. Q: What are the plans for the new Walker River State Recreation Area? A: Phase one plans for the properties include, in part, a primitive campground, group use area, river access and a Visitor Center at the Pitchfork Ranch, and other day use and primitive camping locations at the “elbow” section of the Nine Mile unit. Q: What is the timeline for the new State Recreation Area to open? A: Groundbreaking activities and a transfer ceremony by the State are expected by late summer, 2018. Q: When will the public be able to visit? A: The start of public visitation will vary by park unit. Public access to designated portions will begin by summer 2018 and continue to expand as Nevada State Parks completes various infrastructure and trail improvements. Q: When will I be able to access the river for kayaking/floating? A: Access to the river for kayaking/floating is expected to be restricted until summer 2018. Nevada State Parks is currently working on identifying and removing any hazards that exist. Also, portions of the river are private property, therefore a detailed map of put-ins and take-outs will be published to this site once available. Q: Why is Nevada State Parks restricting public access to portions of the new state park? The State has the responsibility and is authorized to close areas of the park to ensure public safety and protect natural and historic resources. Q: Will there be hunting allowed on the properties? A: Yes, waterfowl, small game and upland bird hunting will be permitted in specified areas beginning in fall 2017. 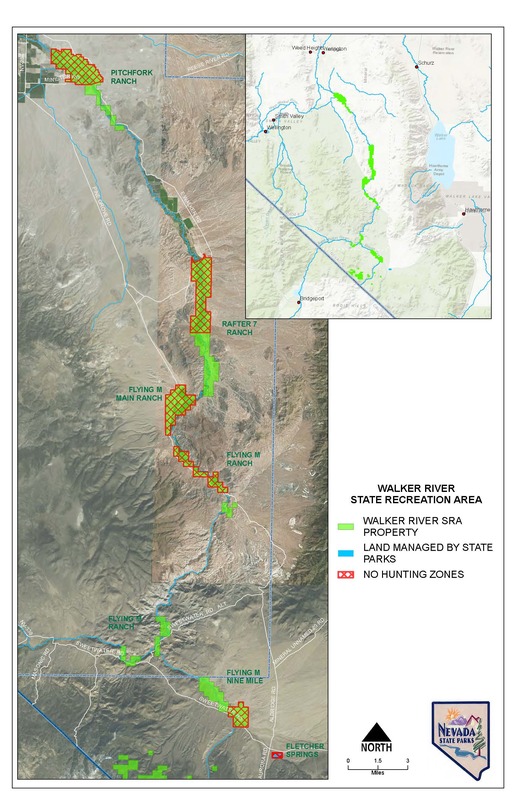 The Walker River State Recreation Area includes hunt units 201-204 and big game hunting will be permitted, although State Parks is currently working with the Nevada Department of Wildlife to determine particulars. Only shotgun or archery will be permissible, no rifles or muzzle loaders, and no vehicular access inside the fence line. View hunting map. Q: Where can I fish at the Walker River State Recreation Area? A: Fishing is currently allowed at the “elbow” section of Nine Mile. Q: Will the State be stocking the river? A: State Parks will work with the Nevada Department of Wildlife on fish and wildlife management. The State intends to stock the East Walker in a manner to support an active fishery. Q: Where can I camp at the Walker River State Recreation Area? A: Until campground facilities have been completed, the only camping access will be at the Nine Mile “elbow”. Please remember to pack it in, pack it out, and follow tread lightly practices. Q: Can I ride my OHV in the new state recreation area? A: OHV travel is prohibited within the park units, with the exception of traveling from approved OHV campsites or trailheads onto adjacent federal lands. Throughout the State Park system it is expected that OHVs will be properly registered with the Nevada Department of Motor Vehicles. Q: Is the new recreation area near any historic ghost towns? A: The Walker River State Recreation Area will provide a good base location from which to visit the ghost towns of Aurora, Bodie, Fletcher and Pine Grove. Q: Will there be public meeting space(s) available at the park units? A: The properties do have opportunities for indoor/outdoor meeting and classroom spaces. Specific uses, fees and how arrangements may be made is all information that will be made available in greater detail at the time of state groundbreaking. Q: What private concession opportunities may eventually exist at the park units? A: Examples of future concession opportunities that may become available for bid include archery equipment rental, archery lessons, etc. ; equestrian events and destination gatherings, guided horseback tours, equine therapy and related other equestrian-related activities; guided fishing; guided kayak and canoe tours and rentals; bed and breakfast facilities; catering; sporting clay and trap lessons, events and related activities; and weddings and corporate gatherings. In addition, in the future the airstrip may prove to be suitable as a base for glider flights and helicopter tours. Q: What makes these properties so unique? A: The East Walker River flows through three properties (Pitchfork, Rafter 7 and Flying M) and includes some of the most pristine river corridor in the Walker Basin and in Nevada as a whole. The Flying M property also includes portions of Rough Creek and Bodie Creek, tributaries to the East Walker River. The properties are historically significant to this remote portion of Nevada and for the most part have been publicly inaccessible for generations. Q: How large is the property donation to the State? What is included in the donation? A: The donated property consists of more than 12,000 acres of land, about 28 miles of the East Walker River corridor and Bureau of Land Management grazing permits on approximately 252,000 acres of BLM land. Together this property will be known as the Walker River State Recreation Area. Q: What are some of the wildlife species found on the properties? A: Portions of the former Flying M Ranch include prime habitat for the Bi-State Sage grouse, a species of vital concern to the State of Nevada. Other key species found in the area include bighorn sheep, mule deer and multiple riparian and upland bird species. Q: What does the State plan to do to enhance the existing Bi-State Sage grouse habitat? A: State Parks intends to work closely with the Nevada Department of Wildlife and the existing Bi-State Sage grouse working groups to follow the approved Bi-State plan already in place for the benefit of the species and the habitat. Q: What will happen to the water rights associated with these properties? A: The surface water rights will be retained by the Walker Basin Restoration Program to achieve its program goal of restoring Walker Lake. Prior to the use of the water for the instream benefit of Walker River and Walker Lake, water will be used on the properties by the Walker Basin Restoration Program for revegetation activities focused on soil stabilization and mitigation of fugitive dust. Q: Who will be responsible for stewardship of the former agricultural fields? A: The State of Nevada is working with the Walker Basin Restoration Program to achieve continued stewardship activities on the properties. The Walker Basin Restoration Program has committed significant funding, staff and planning to this effort. The detailed plans are currently under development and will be a collaborative effort by both parties. Q: What will happen to the previous cultivated fields when irrigation is discontinued? A: The Walker Basin Restoration Program is committed to soil stabilization and weed control on lands that were previously irrigated. The Program and the State will work closely on plans that make sense with the long-term use of the properties and will look to enhance habitat where appropriate, especially with regard to the Bi-State Sage grouse habitat. Q: Will there be sufficient water that remains with the properties to handle park operations? A: The properties will come to the State with all of the groundwater necessary to meet State Parks’ needs both now and into the future when additional facilities and amenities are added to the Walker River State Recreation Area. Q: Will the main compound at the Flying M property be accessible? A: Not at this time. As a condition of the sale of the Flying M property to the Walker Basin Conservancy, the main home site and adjacent buildings and facilities (such as the airstrip and hangers) on the Flying M will not be accessible until the lease with the previous owner expires. The bulk of the Flying M property, including what will become the Nine Mile park unit at the “elbow” of the East Walker River, will be managed by State Parks upon conveyance in summer 2017 and available for public use. Future plans for the main compound at the Flying M, the subject of the life estate provision, will still be included in comprehensive planning for the entire recreation area. Q: Will any area(s) be available for grazing leases? A: The BLM grazing permits associated with the properties are currently leased and those lease agreements will transfer to the State. At the end of the lease agreements, the State will go through a public bidding process for future leasing. It is the State’s plan to keep the leasing permits in good standing. Q: Will there be fees when the new park units are in operation? A: Yes. As with all Nevada State Park units, fees are charged and, in part, help cover Nevada State Park operational expenses. Entry fees are $7 and camping is $14. Nevada Residents receive a $2 discount off entry fees and annual permits are available for $65. Q: How will I be able to get a job at Walker River State Recreation Area? A: Full-time and seasonal positions will be announced on the State Parks website as they become available, which will not be until July 2017 at the earliest.